I’m so into Korean chilli paste because of its attractive colour and its mildly sweet taste with a hot kick. 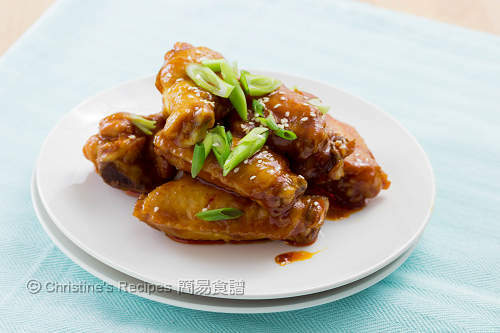 The chicken wings that cooked with Korean chilli paste are very addictively delicious. I pan-fried them instead of deep-frying as my family likes less oil intake. You won’t go wrong with this fool-proof dish. But beware you’ll be addicted as the sticky sauce makes the wings so tasty. I could finish the whole dish myself in a blink of an eye. Rinse the chicken wings and wipe dry. Mix with the marinade. Refrigerate for 2 hours or overnight. Return to room temperature before you’re ready to cook. Heat oil in a wok or frying pan over medium-high heat. Saute the garlic. Add the chicken wings. Reserve the marinade for later use. 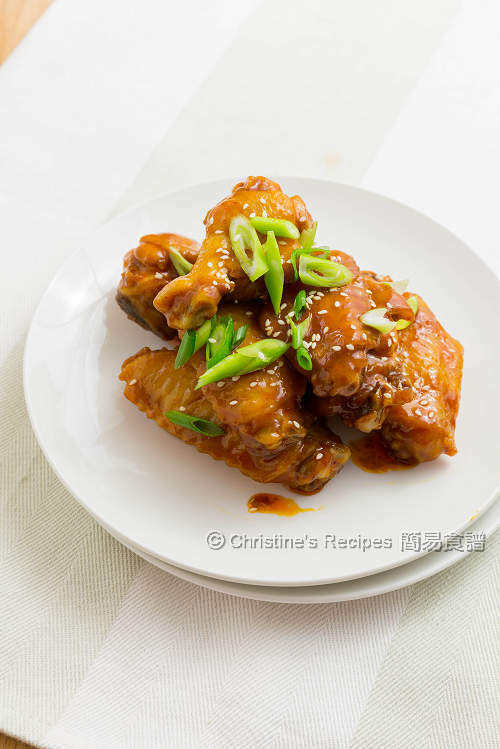 Cook the chicken wings until both sides are lightly brown. Mix 2 tablespoons of water with the marinade well. Pour into the wok. Bring it to boil. Reduce heat to medium and cook with a lid on, about 10 minutes. Remove the lid and continue to cook until the sauce is reduced and thickened, sticking to the surface. Stir in honey. Sprinkle spring onion and sesame seeds. Serve hot. Honey gives more fragrance. You may skip it though. 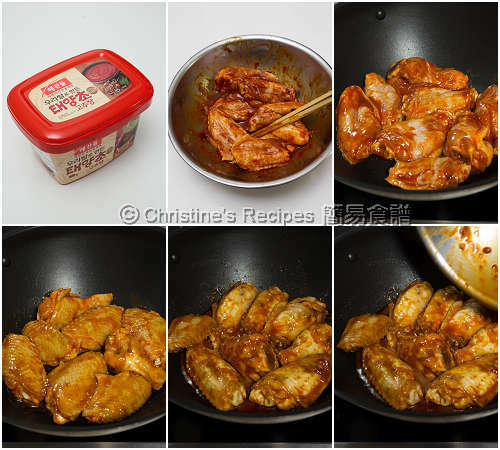 Easy peasy and tasty....I need to get a box of chili paste to try this. Thanks for sharing, Christine. Where I live there is no Korean products, Is there a substitute? Chilli paste, sauce? Then you may use any chilli paste of your favourite brand. The wings should have a hot kick to make them tasty. Tried this recipe for dinner yesterday, and it's really delicious! Thank you for this recipe! Thank you for letting me know. I'm very happy too.